Here are some interesting facts about J. M. W. Turner. 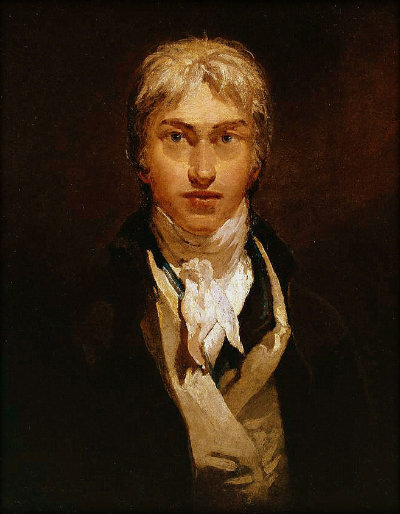 J. M. W. Turner is one of the most famous British painters. He is known today for his romantic landscapes and seascapes, and is often seen as one of the earliest modern artists. He produced over 500 paintings, over 2,000 watercolours and over 30,000 drawings during his career. His famous works include Rain, Steam and Speed, The Fighting Temeraire, and Fishermen At Sea. Turner was born in London around 1775 and at the age of 15 had a watercolor painting accepted by the Royal Academy. A few years later, his first oil painting was on display there. His full name was Joseph Mallord William Turner. Turner had a painting accepted for showing at the Royal Academy every year for the rest of his life. At age 18, he was successful enough to have his own London studio. He loved to paint storms, rough seas and fires. He rushed to the Houses of Parliament when he heard that it was on fire, to capture the flames in a painting. Many of Turner’s paintings have dramatic effects of light and shadow. His use of light influenced the famous Impressionist artists who were painted at the end of the 19th century. J. M. W. Turner kept his strong London accent for all his life. At the time, it was fashionable for artists to develop a posher and more upper class accent to help their career. Turner often drank a lot, sometimes drinking several pints of rum in a day. He sometimes applied stale beer to his paintings, and even spat on them to make them look more realistic. 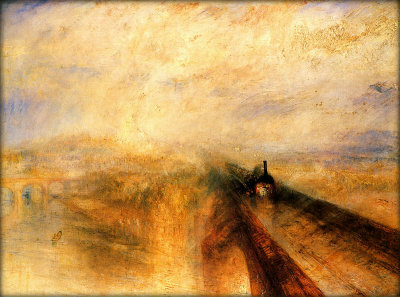 J. M. W. Turner travelled a lot in France, Italy and Switzerland. He found ideas for paintings in Venice, and one of his most famous works is The Grand Canal Venice, painted in 1835. Turner died in 1851, in London. As he requested, he was buried in Westminster Abbey, along with many other famous writers, poets, artists and scientists. The Turner Prize, awarded annually to a visual artist under the age of 50, is named after J. M. W. Turner. Some past winners include, Damien Hirst, Antony Gormley and Grayson Perry.